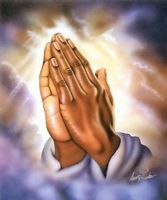 I request you to please pray I get a job in my field that I've applied for. Its been 6 months since I came to Canada and still looking for job in my field. Unless I get a job, my husband is not coming so that atleast 1 person is working. Hes working in Abu dhabi. I request your prayers to please help me get employed soon.